Let’s start with a fact – Italians have the lowest obesity rate in the EU. Thanks in part to The Italian Diet! There’s no secret that a Mediterranean diet is good for you and in Gino’s The Italian Diet book, he has gone back to his roots and chosen a book full of healthy Italian recipes that are tasty and satisfying and can be eaten with a clear conscience! Recipes in The Italian Diet are full of fresh fish, lean meat, pulses, olive oil and a load of fruit and vegetables and it must be noted that The Italian Diet isn’t for serious weight loss, it’s a natural, feel-good diet that will become a way of life! 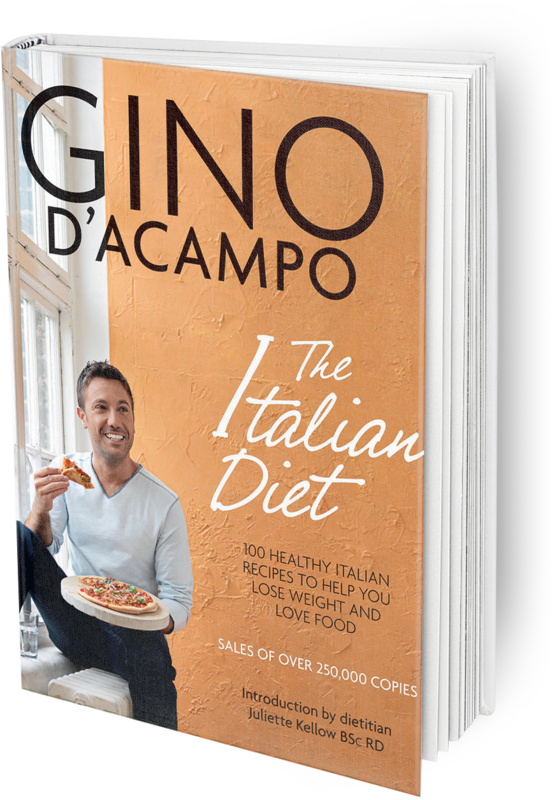 If you’re searching for delicious Italian food, click below to buy The Italian Diet by Gino D’Acampo or to view recipes in The Italian Diet!